Fix your broken stained glass window by turning to Quinn's Stained Glass Repair & Restoration. Our team in Ashland City, Tennessee, can complete any glass replacement or window repair. When you hire us, your door, window, or other structure will look like new. We make sure your item looks better than before. Let Us Complete Your Installation! 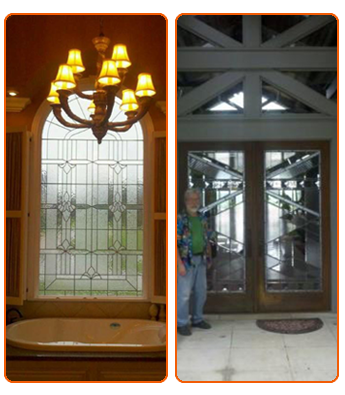 Installing stained or leaded glass can be a tedious task. By hiring our professionals, you don't have to worry about putting it in yourself; we'll do it for you. Our glaziers have installed windows on homes, churches, and other businesses for more than five years. We have even added lead glass over garden bath tubs. With this expertise, completing your job won't be a problem. When we fix windows, a piece of plywood is secured to the opening until it's time to install the new glass. We then cut and construct a new window. The plywood is removed and replaced with the new stained or leaded glass. To have us put in or repair your glass, give us a call. We'll come right to your location and assess the situation. From there, we'll provide you with an estimate. This way, you'll know how much the job will cost. If you agree with the price, we'll get right to work. Keep in mind; we don't take payments up front. Your payment is accepted after we've finished the job, and you're satisfied. Giving you a reasonable estimate is one of our top priorities. Your quote is based on the type of stained or leaded glass you need and the time to complete the job. With vintage windows, we'll have to find a close match to finish the repair or installation. The time it takes to accomplish this is also included in the estimate.